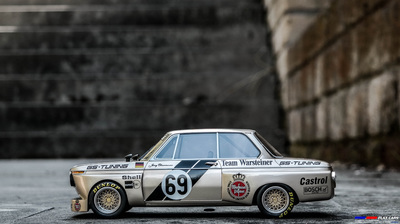 Speaking about DRM- German racing championship in translation- in my mind come instantly the images of the incredible looking body kits of the very fast and powerful german cars. I discovered the spectacular tuning results of those racers in various magazines, lately in the 90's, since the racing series began before I was born and ended soon after. 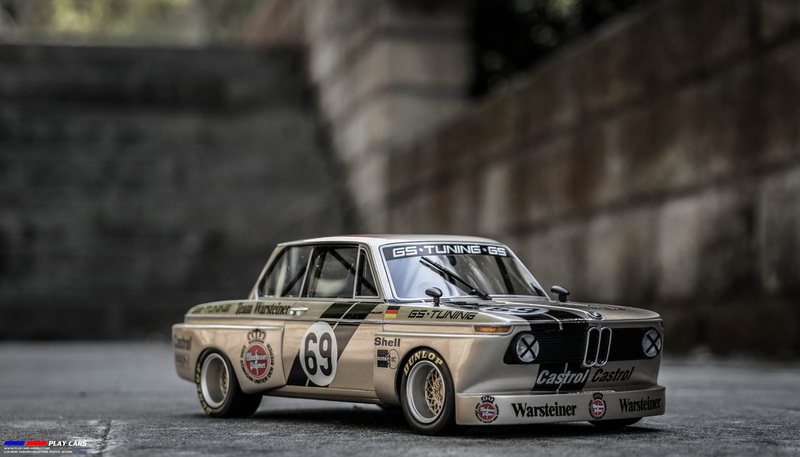 Every single one was spectacular, but the BMW had something special. No one was so wild looking, so spectacular. The already aggressive design of the serial cars-sharks- was completed so well by the massive body kits of different tuners. The 1:18 replica manufacturers fed well my passion over the years, replicating various models from the latest period of DRM, prompting me to add some to my collection. But, the 1:18 scale was missing some replicas of the early models, the 2000 series. 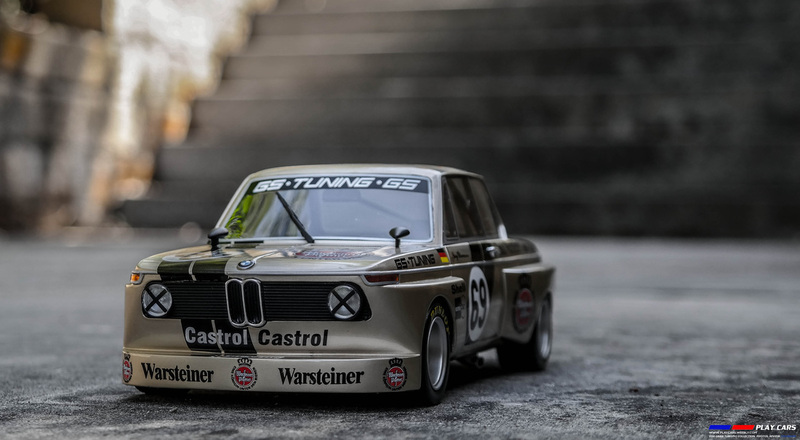 This, until few months back, when thanks to resin casting versatility, BOS released the first 1:18 replica of a BMW 2002 wearing the Warsteiner team livery and the racing number 69. 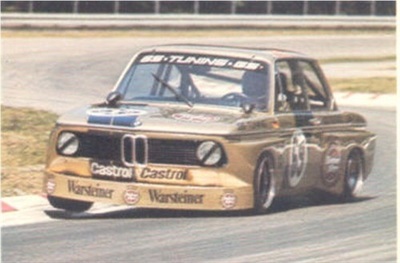 The real car was driven by Jorg Obermoser. 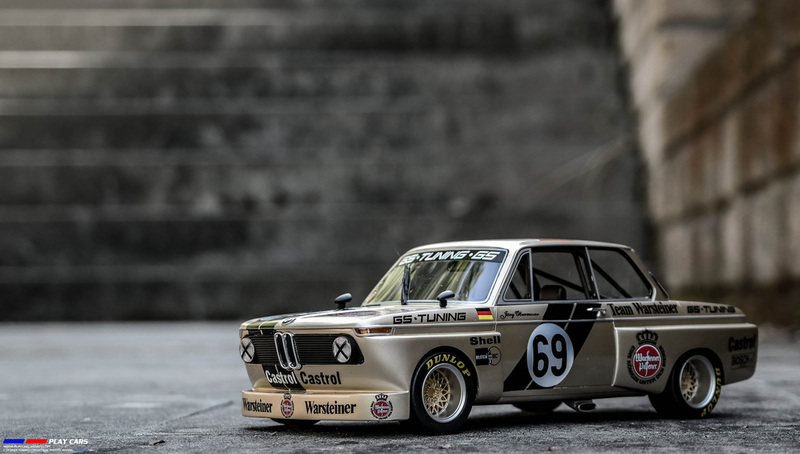 The model is resin made, without functional parts and belongs to a limited edition of 1000 pieces. 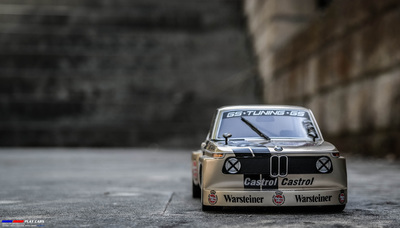 Just at the date of this review, I noticed the launch of a closer model from the same team, by other well known resin made manufacturer in 1:18 scale, wearing the number 63. 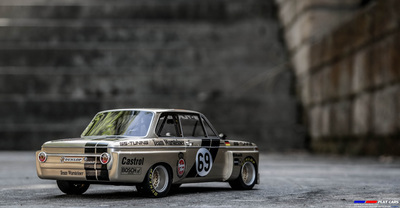 Before starting the model's review must mention that was hard enough to find some detailed photos of the real car. Only few, very old photos are available and the differences in comparison with the scale replica are notable. Since I don't have accurate information about the real car, I'll only mention the differences, without considering them errors anyway. Let's start giving a quick look to the traditional BOS' s box, black and printed with the manufacturer's logo. Information and serial of the model inside can be find on a little label printed on. The whole assembly is quite light thinking at the 1:18 model inside. Sitting in its styrofoam box (the same poor quality as before mentioned in my first review) the model is wrapped in paper and has a pleasant appearance. Taking it out, I can see a lot of residues from the styrofoam box and from a previous cloth cleaning. Those residues must say are quite hard to remove due to fixing windows. I was afraid not to damage the model and you'll find why, later. The model feels heavy enough out of its box, keeps a great stance and the right lines of the muscular body-kit. The paint isn't metallic, but very shiny and I can't see any imperfection. For sure a layer of lacquer was applied. The decals appear to be a combination of classic ones- stickers and tampo applied. Are well fixed, but looks a little bit rude to me. On the right side the black stripes were applied partially over the pilot's name. Being made in the same color isn't visible from the distance, but on a closer look isn't a fine detail. Looking ahead, unfortunately some disturbing aspects are coming out. To make a general idea, I'll say that the model isn't finished how it should be. In fact I have the impression of having the mould between my hands, not the final product. This fact is visible in the narrow places on the fenders, along to the side ornament or underneath, where the bumpers keep some hard labor signs. At least there were not tired at all to hide those imperfections . I don't expect to find such issues on cheaper models, even more in this category of price. The front grill isn't perforated, but the lights, signals and logo look very nice. The few chromed pieces around, in fact are well made. The „X” decals applied on the front lights are replicated by stickers . On the real car from my photo is a simple skew line. Are well moulded the shutting lines along the body, keeping in the same time realistic sizes . I'm not sure about the silver painted ornament around: if it was painted or chromed on the real car. On the rear, the lights and the chromed-this time-ornament are carefully and realistic made. What disturbs me enough on this model are the windows. Are made by the same thin plastic and glued directly on the metallic body. Isn't a neat job anyway because are keeping around unaesthetic gaps and on the back side already rebelled. A great minus here, too is the window frame, silver painted instead of chromed and unrealistic. The generous sized wheels look good enough, but the spokes could be better achieved. I'm not sure if the rim's lip was chromed or silver painted-like in our case- on the real thing. Looking through the spokes, the brake system is visible, but very poor detailed. The entire system of disk and caliper was moulded on the same plastic base. The disks remain fixed while wheels spin axis. An original slick profile was kept for the tires, made of a soft enough rubber and beautifully marked outside. Is hard enough to take some photos inside, but looking carefully, I was surprised to find a well detailed cockpit. On the dash board the model reveals legible and individually detailed gauges, a clean steering wheel and shift gear. 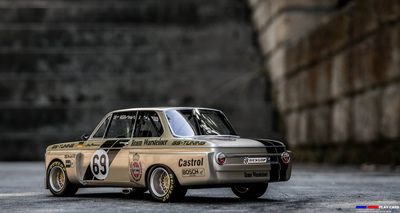 The manufacturer provides a roll cage and a fire extinguisher for this replica. Both shell seats are looking great, only the driver's one having racing seat belts. I can't figure out if are textile made-even, hard to believe. I'm not sure about the accuracy of details here, since from the photos the real car appears to have a single red racing seat, only for the driver. Underneath we have no details at all, only the lateral exhaust rising from a tedious, flat plastic base, wearing the serial number and model's details on it. The look is truly disappointing here.